Cut up cauliflower and boil for 6 minutes or steam till done. Drain and pat dry while still warm (try and get it very dry). Combine all ingredients in food processor or in a bowl with an immersion blender. Blend till smooth and garnish with herbs and butter. Prepare as above but instead of butter, cream cheese and parmesan slowly add coconut milk while blending until you’ve reached the desired consistency (use less than you think you will need because you don’t want runny mash!). 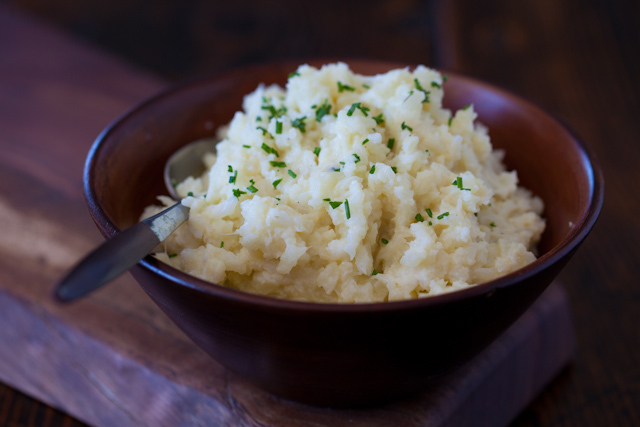 Add in all other spices as you would normally and enjoy this super creamy guilt free mash. So what are your options?A quick substitution is to serve unsweetened apple sauce instead! Citrus helps break down proteins as well, so you won’t feel as “heavy” and “sluggish” after the turkey! Sprinkle on a little cinnamon and you’ve got the perfect side-dish for your Thanksgiving dinner. 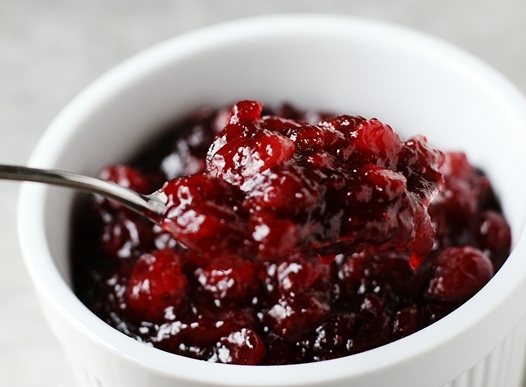 Still can’t part with the cranberry sauce – here is a low sugar DIY recipe that you can whip up in advance and store in the fridge. Combine in sauce pan and bring to boil over medium-high heat. Reduce to a simmer until berries begin to burst (about 25 minutes). Let cool in a dish and pop in the fridge, it will thicken as it cools.